Great selection of intermediate science fair project ideas. 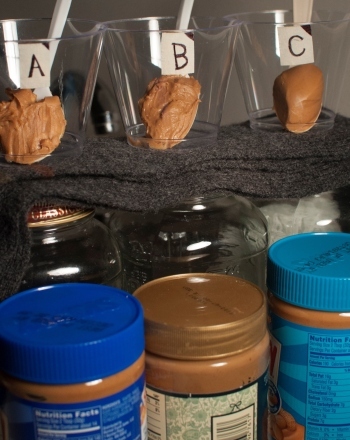 These science fair projects can help you find intermediate level ideas for your science fair. 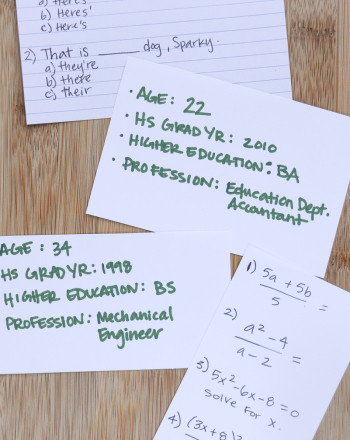 Science fair project idea examines what is remembered from high school education. Formulate and administer high school curriculum tests to adults over 21. This intermediate project examines the strength of horizontal versus vertical pointing eggshells. The goal of this intermediate science fair project is to examine the effect of caffeine on plant growth. 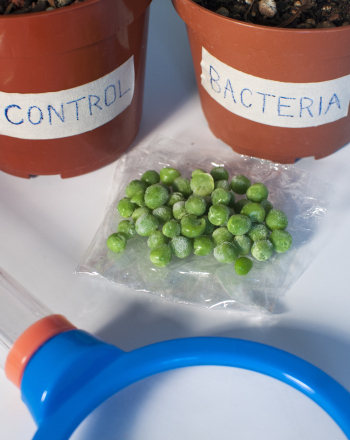 In science fair projects, intermediate students discover why nitrogen fixing bacteria are important to plant growth. 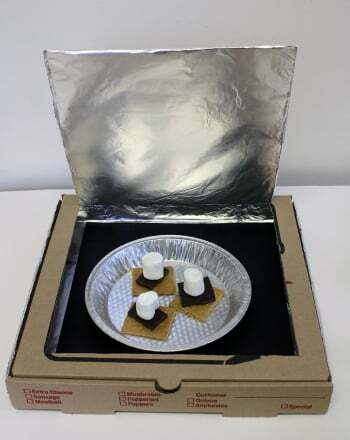 Check out this cool and free intermediate science fair project idea on how to make a solar oven. This intermediate science fair project evaluates test subjectsâ ability to determine what a person is feeling by reading their facial microexpressions. Check out this fun leaf chromatography science fair project idea for intermediate students and discover the hidden pigments in leaves. This intermediate science fair project determines whether DNA is most easily extracted from under-ripe, ripe, or over-ripe strawberries. Be a Detective! Is it a Physical or a Chemical Change? Get a cool intermediate chemistry project idea on how to determine whether a physical or a chemical change has taken place. A Deep Sea Diver! How Does it Work? Is Air Heavier or Lighter than Water? This fun intermediate science fair project idea helps student discover the concepts behind deep sea diving and how Cartesian divers work. What Kind of Light will Produce the Greatest Plant Growth, Regular Light or a Fluorescent Bulb? Explore this fun intermediate science fair idea to learn about photosynthesis and the key role of light in the growth of green plants. Oh! Those Shopping Carts! Are They Really Carriers of Bacteria? 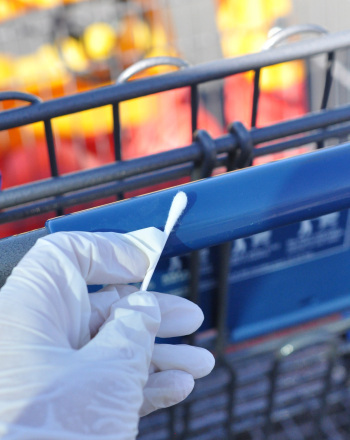 Check out this cool intermediate science fair project idea to determine if shopping carts are really carriers of harmful bacteria. How does Phototropism Affect the Growth in Green Plants? This cool intermediate science fair project idea helps students explore the role phototropism plays in the growth of green plants. Is It What You Say or How You Say It? 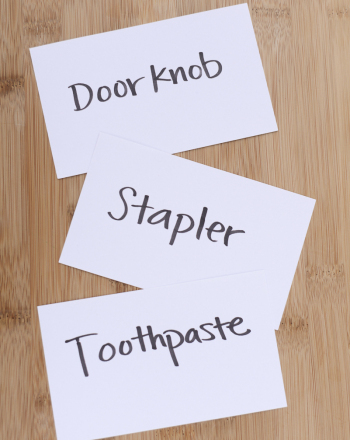 In this science fair experiment, intermediate students evaluate whether tone of voice can influence our ability to remember a list of everyday objects. Peanut Butter Anyone? Which Tastes Better, Commercial Brands or Organic Brands? Check out this cool intermediate science fair project idea to find the difference between organically grown and commercial brands of foods. Flame Tests? Can you Really Identify an Element or a Compound by Putting it Into a Flame? Get this cool intermediate science fair project idea on how to conduct a flame test to detect the presence of certain metals in chemical compounds. Balloons! Some Float! Some Sink! How does the Temperature of a Gas Affect its Density? 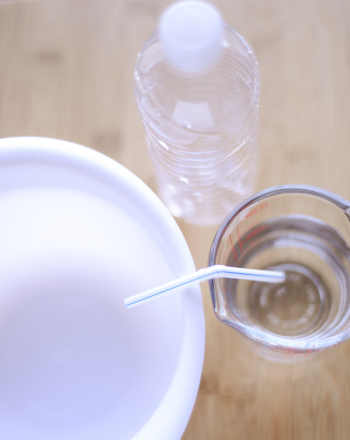 Check out this fun science fair project idea for intermediate students to learn about the effects of temperature on the density of a gas such as air. 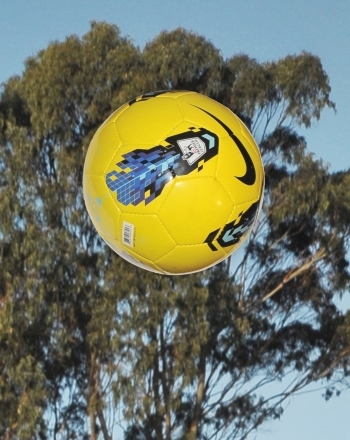 Learn about the horizontal and vertical motion of a projectile in this cool physics science fair project idea for advanced middle and high school students. Breathe in! Breathe Out! Do Boys and Girls Have the Same Lung Capacity? This fun intermediate science fair project idea explores the process of respiration and determines whether boys and girls have the same lung capacity. Here is a fun intermediate science project on factors affecting solubility. Learn how dissolved solids can "crash out" to form crystals when conditions change. Rotting Fruit! Which Fruits Rot the Fastest, the Slowest? How do We Explain the Differences? 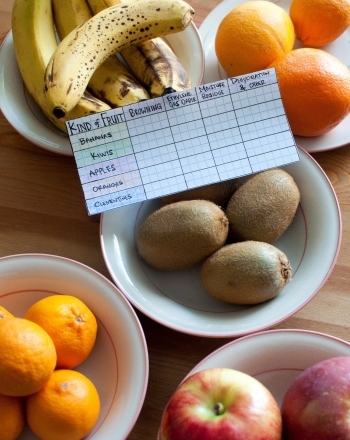 Easy and cool intermediate science fair project on ripening process of fruits and measures you can take to prevent fruits from rotting and delay ripening. 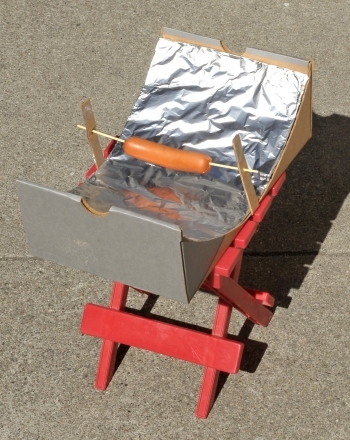 Kids use applied maths to build and test a parabolic mirror solar hot dog cooker in this cool engineering science fair project idea for intermediate. Water the Plants! Add Sugar? 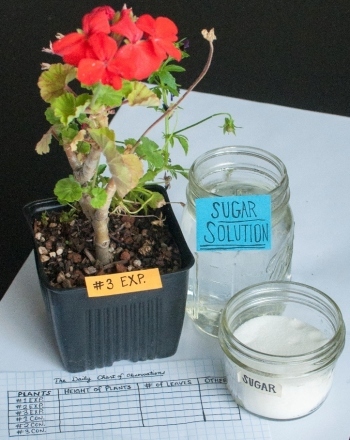 Would Adding Sugar to the Water Increase the Growth of Plants? 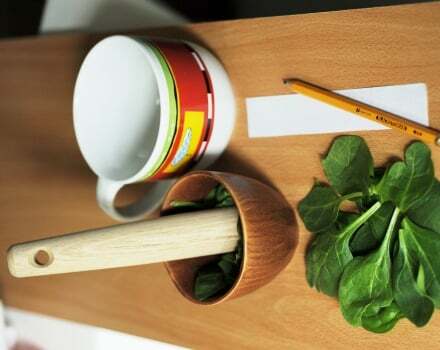 Get a cool science fair project idea for middle schoolers on the effect of adding sugar to the growth of green plants. In this high school science project, students examine the effect of overpopulation on guppies.